Even before this year's iPhone gets an official unveiling, the rumor mill is starting to spin for its successor. A report claims that Samsung and Apple have struck a deal for two models of next year's "iPhone 9," including one model with a huge display. Only in the tech world can something become outdated before it even hits the streets. In this case, it's the iPhone 8 that is old news; there is a new kid on the block, and his name is iPhone 9. 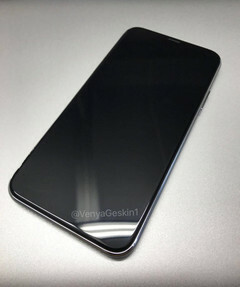 The first rumors concerning the unconfirmed Apple handset have surfaced, courtesy of a new report. According to The Investor—the Korea Herald's financial news arm—Samsung Display has just signed a deal with Apple to supply OLED panels for next year's iPhone. That iPhone will come in two models: one with a 5.28-inch display, and another with a massive 6.46-inch display. If the sizes are correct, the latter would be Apple's largest iPhone screen to date—and possibly one of the largest phablets, period, before we get into actual tablet territory. The screen dimensions are not a sure thing, however. The Insider reports that "screen design ... could be adjusted" considering how early it is in the iPhone 9's development process. Other details, such as specific functions, may also change as development progresses, although what those functions may be is not revealed in the report. In related news, the report also claims that Samsung is working on new production facilities that will be dedicated exclusively to building OLED panels for Apple. If true, it lends credence to the rumored deal between the two companies.